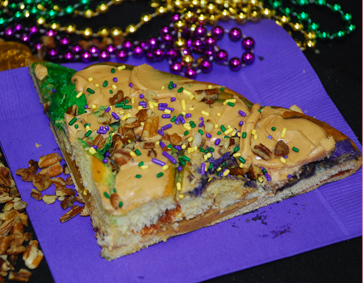 The King Cake is a sweet treat that is uniquely New Orleans. 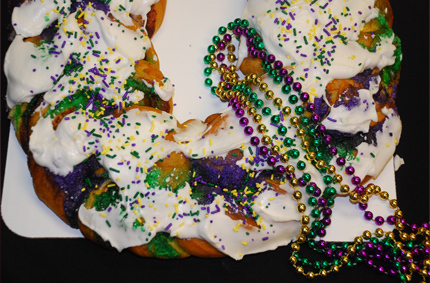 If you've never had a real New Orleans King Cake, I would suggest you pack your bags and get down to Lousiana because they are simply delicious! 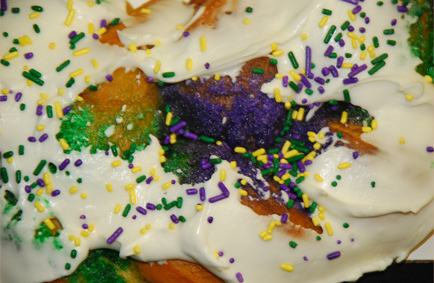 I've attempted to recreate the recipe for King Cake so that everyone can experience the taste of a Kingcake in their own home. 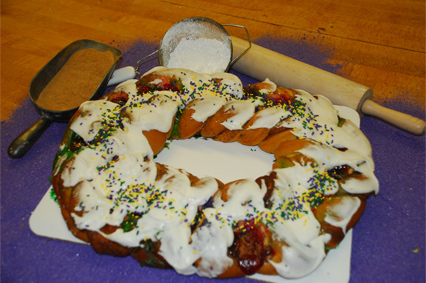 These simple king cake recipes are easy to customize to your own liking. Check out my different varieties, then experiment and make one of your own! 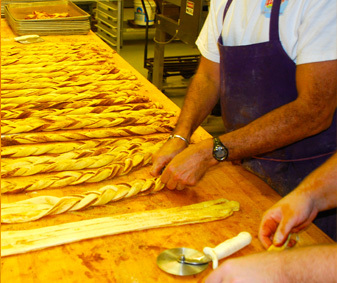 Here you can find my traditional King Cake recipe, along with other delicious varieties of recipes for king cake. 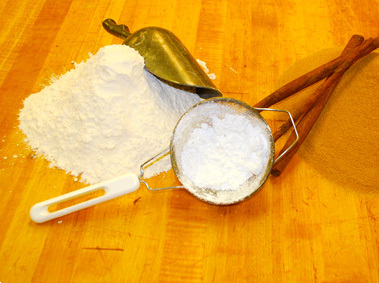 Let us know what you think about our Kingcake recipes. Fill out the feedback form, and rate our recipes on a scale of 1 (worst) to 10 (best). Thanks for the feedback.